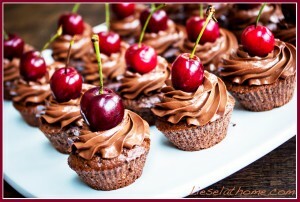 Cherries makes really funky cupcake decoration! 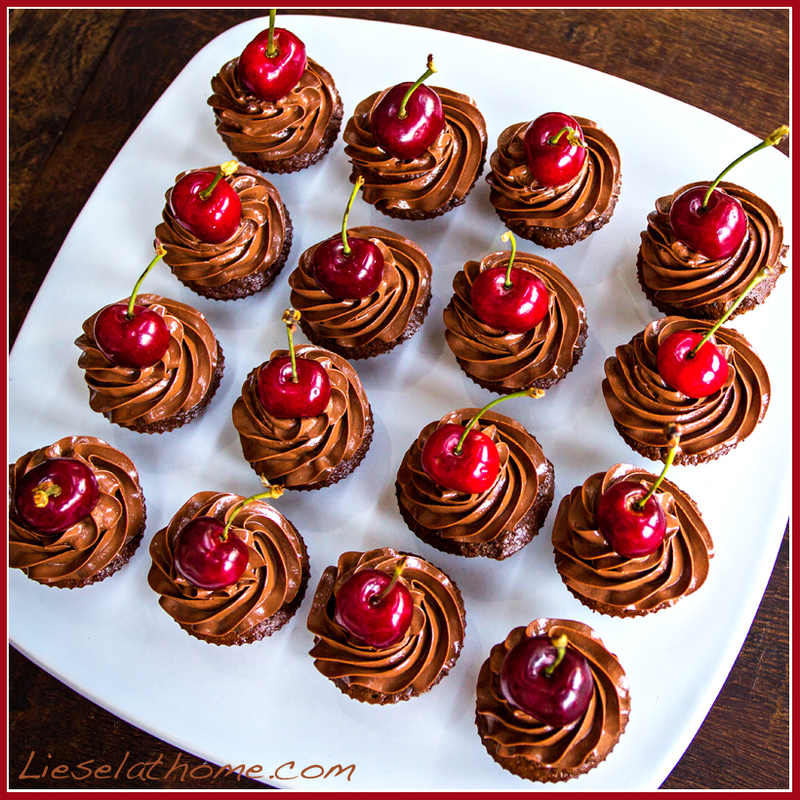 Last night we had a small dinner party and as a dessert I served tiny chocolate cupcakes. I had planned to put raspberries on them to top them off, but once I saw the cherries in the shop I knew that would look even better. Leaving the green “straw” sticking up make it even more funky. 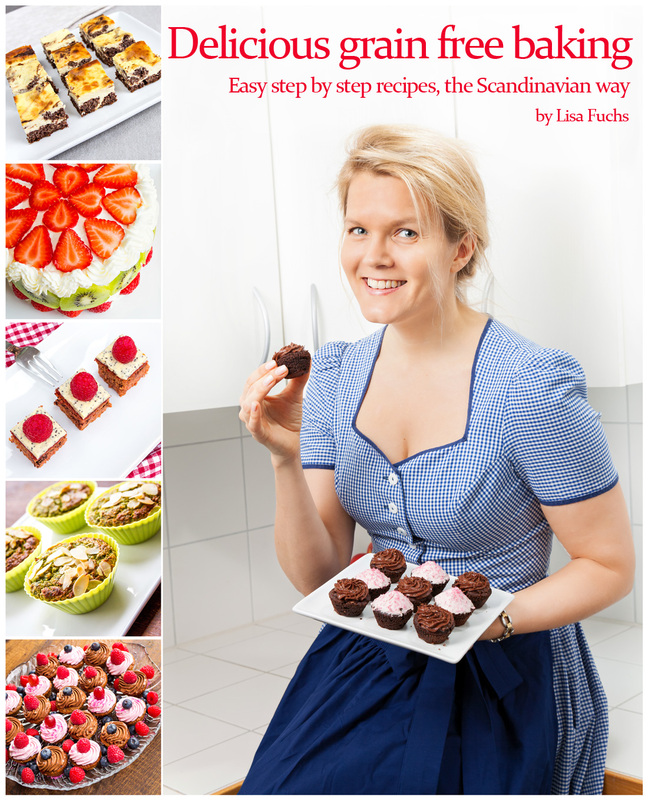 You can find a recipe for muffins HERE and the topping is made with melted dark chocolate and a mix of yoghurt and mascarpone.